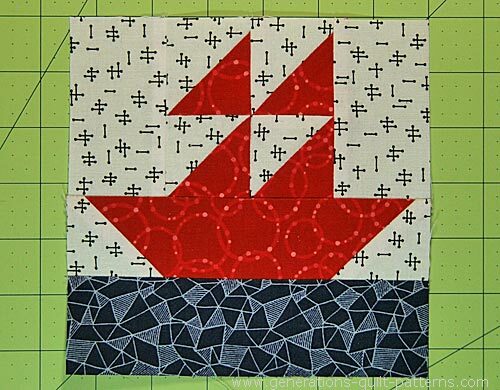 This Sailboat quilt block pattern combines cut patches with simple pieced units: connector corners and quick pieced half square triangles. 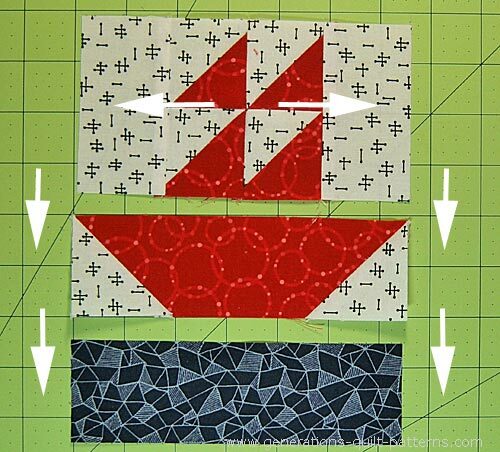 If you would prefer, click here for another sailboat quilt block pattern. SA are 1/4" and pressed to the darker fabric unless otherwise noted. The sample block has our Sailboat sailing during the daylight hours, but you could just as easily choose a night-time starry sky. 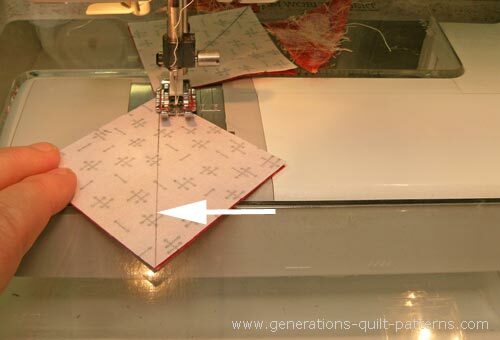 Choose fabrics with enough contrast so that the points on your half square triangles don't get lost. 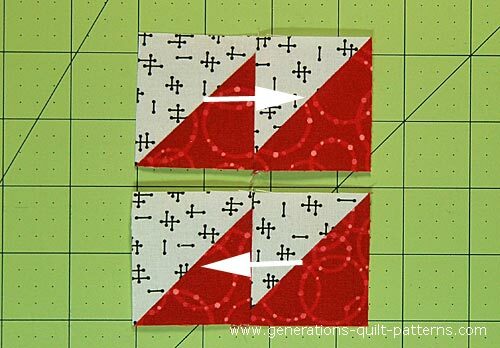 I prefer patches for half square triangles (#4 and #5, noted with ** in the chart below) that are oversized by 1/4", sew the units and then cut down to perfection. So for a #4 listed as 2-3/8"x2-3/8", I actually cut it at 2-5/8"x2-5/8". 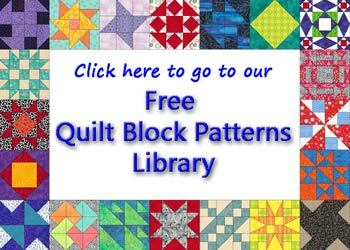 Our Sailboat quilt block pattern needs 4 of these units. 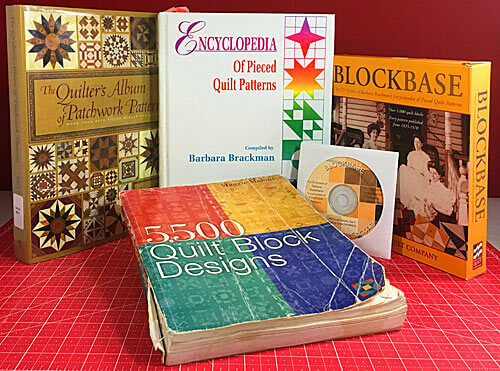 We'll use the quick pieced method to make them. With right sides together (RST) layer a #4 and #5 together. Stitch a quarter inch away from it on both sides. The arrow points to the drawn diagonal. I like a mechanical pencil for this because the line is always the same width. Cut the two pairs apart on the drawn line. Press with the SA toward the darker fabric. If you cut your patches the exact size, confirm they measure the correct size from the chart below. Then trim away the dog ears—those little points sticking out at the corners. If you cut oversized patches like I do, trim the HST down as indicated. After trimming, you have four perfect patches. 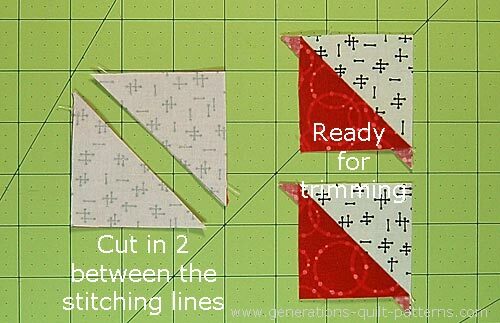 Sew these into two pairs of HSTs with the diagonal seam moving from upper right to lower left. Stitch the pairs together, nesting the SA. This seam can be pressed to one side, open, or as I chose, twirled. With RST, add a #6 to the left and right sides of this unit. 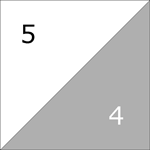 Draw a diagonal line on the back of both #3 patches. 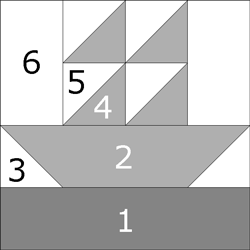 With RST, line up the edges of one #3 with the right side of #2. The line should bisect the corner of #2. This time, stitch ON the line. That little messy thing behind my needle is a 'spider'. I start my stitching on one. There's less change my machine will 'eat' the corner! 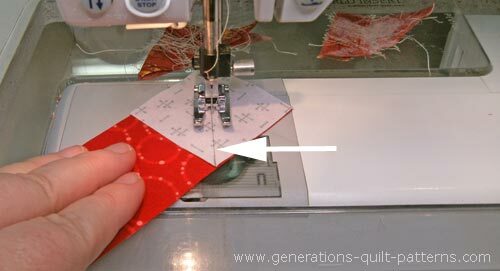 Trim away the excess fabric between the stitching and the lower corner, leaving behind a quarter inch SA. Press to the dark. Arrange the units into rows. 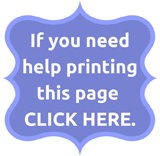 Ahoy 'me-maties! 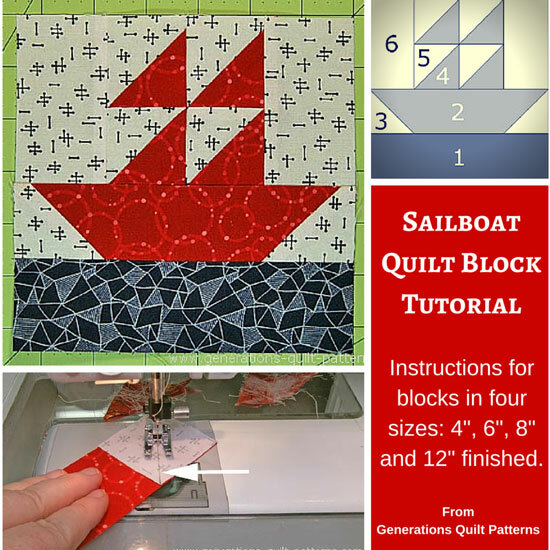 Your Sailboat quilt block pattern is finished and ready to set sail!